How serious are blood clots? They can even prove fatal. 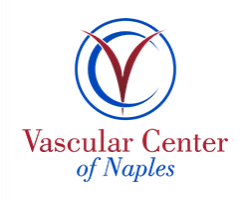 At Vascular Center of Naples in Naples, Florida, Dr. Russell Becker offers effective treatments to destroy clots located deep within your veins, a condition known as deep vein thrombosis. Using innovative therapy and lifestyle changes to improve your circulation, you can prevent blood clots from causing additional medical complications, including heart attacks and strokes. To learn more about diagnosing and treating deep vein thrombosis, schedule an appointment online or by phone. Deep vein thrombosis (DVT) develops when a blood clot forms, usually in your legs. The condition can come from any issue that prevents your blood from circulating properly, such as injuries, surgery, or the use of certain medications. You can also develop DVT if you have an issue with normal blood clotting, such as inheriting a clotting disorder, or enduring prolonged bed rest or paralysis. DVT often causes swelling in the affected leg. Pain may start in your calf and feel like a persistent soreness or ache. You may also feel the sensation of a muscle cramping and warmth in the leg. Your skin may appear red or discolored. While these symptoms are common with DVT, it’s possible to have the condition and not experience any symptoms at all. If you have symptoms of DVT, you should contact Vascular Center of Naples for a thorough evaluation. If left untreated, blood clots can result in permanent damage to your veins or lead to a heart attack or stroke. DVT can also trigger a life-threatening condition known as a pulmonary embolism if the clot travels to your lungs or heart. Don’t ignore these symptoms. You should call 911 or visit the nearest emergency room for care. Sitting or lying down for long periods of time, such as during a flight or while hospitalized, can also allow blood clots to form. What treatment options are available for deep vein thrombosis? 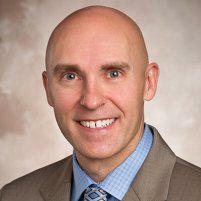 Initially, Dr. Becker may recommend blood-thinning medications to reduce the clot and promote better blood circulation. He may also recommend clot-busting medications to break up clots quickly using a treatment known as thrombolytic therapy. To learn more about the treatment and prevention of deep vein thrombosis, schedule an appointment online or by phone with the team at Vascular Center of Naples.